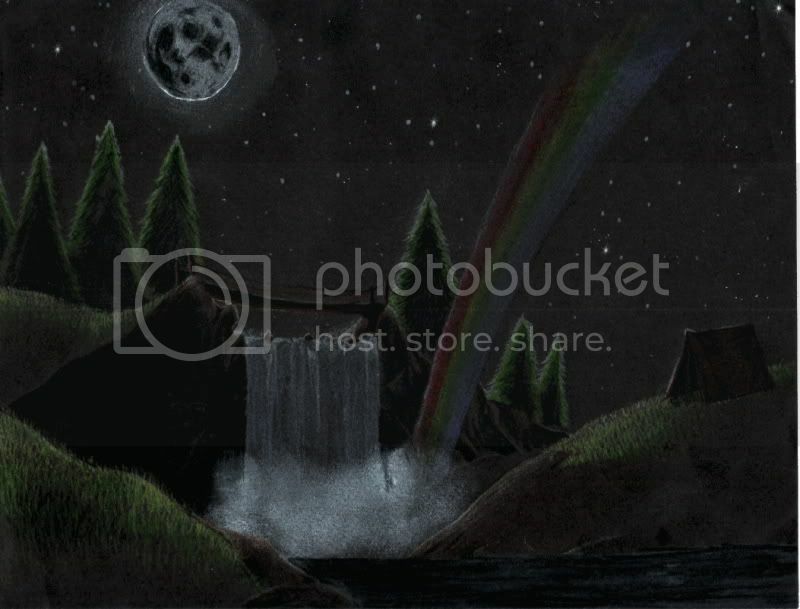 Well guys....Here is my next art project I finished up today.....Its mainly all Colored Pencil on Black Paper Exsept the Light Beam surrouding the moon and the end of the water fall.....that was used with a White Chalk Pastel. This is my very first all Colored Pencil media I have everdone. This one has warmth but I still like the other more, because of its cold open simplicity. That is great! I love the lighting and nice detail.